Take aim in any direction! 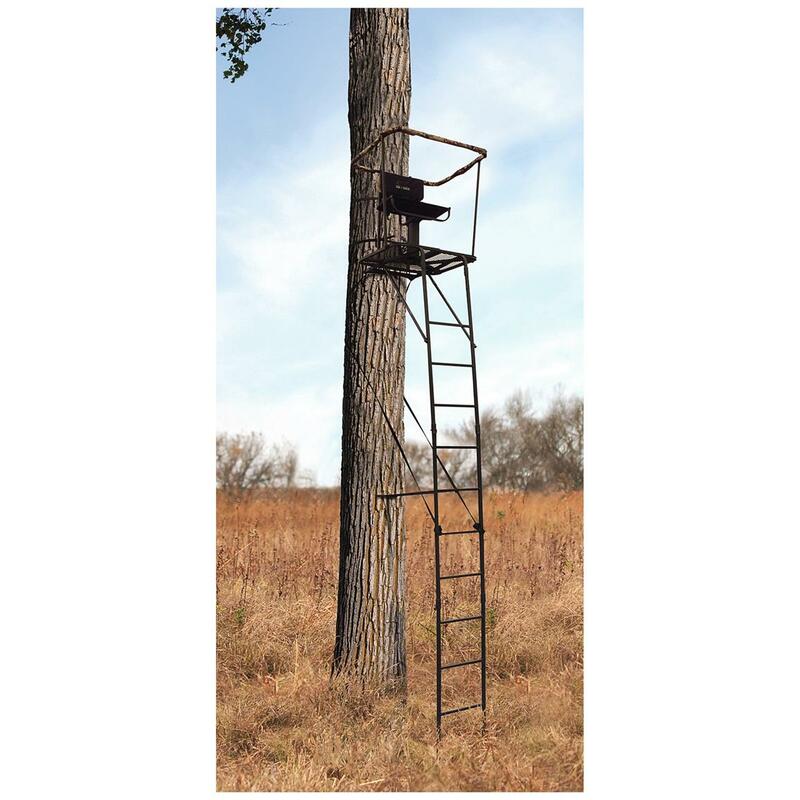 A dependable ladder stand…with a twist. 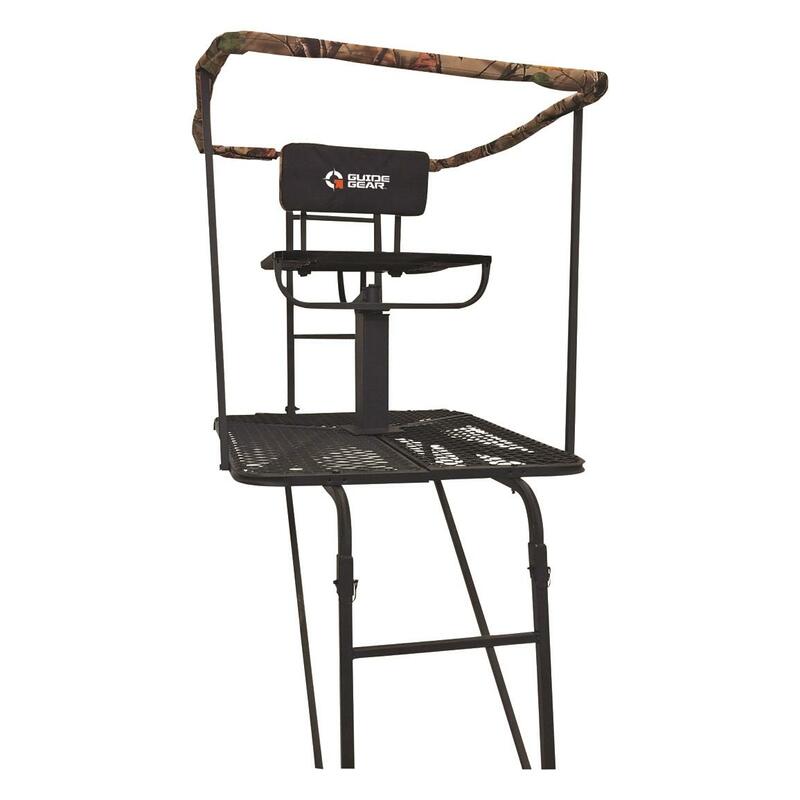 Unlike other ladder stands, our Guide Gear® Swivel Ladder Stand allows you to take aim in any direction. No matter what angle that buck is coming from, you'll be able to position yourself for a shot from a seated position. One direction? No, every direction! The seat swivels 360º... yes, just like your chair at the office. So now you can sit comfortably and safely take aim without being awkwardly twisted. Plus, there's a padded wrap-around rest. So straight, left, right... wherever your target is, you get a comfortable, stable seated position. 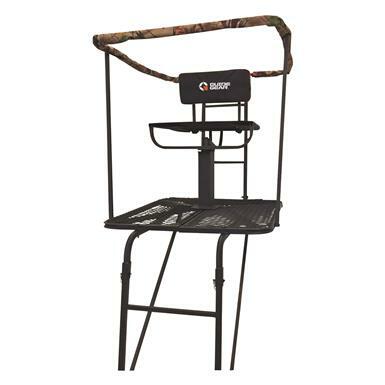 And in the event you want to stand and shoot from a wide stance, the platform is a roomy 32" x 32" to accommodate you. Don't just put your head on a swivel…put your whole body! Order now! 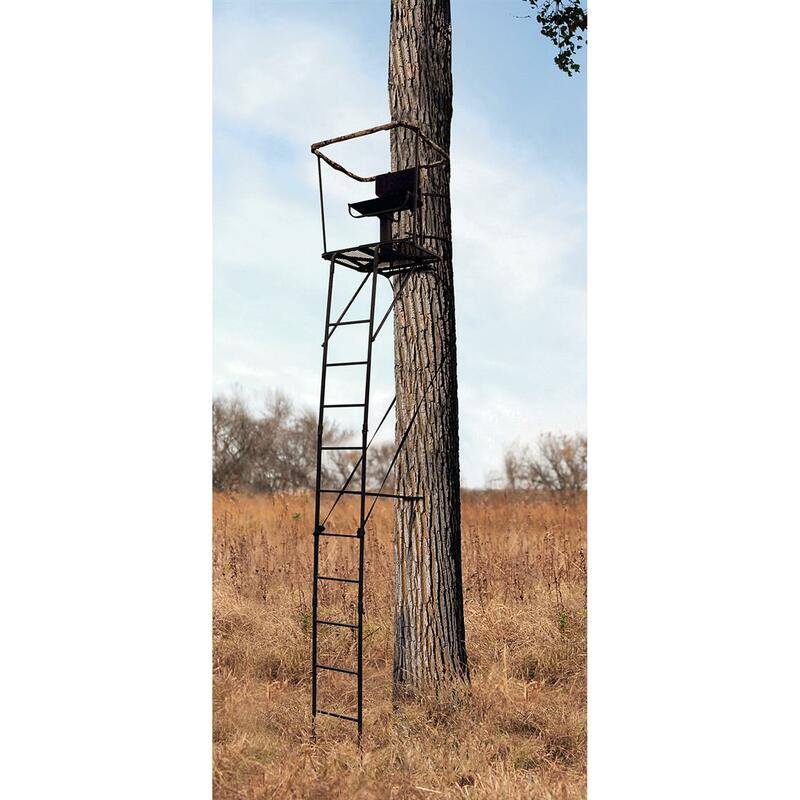 Platform Dimensions: 32" x 32"
Seat Dimensions: 22" x 13"
Backrest Dimensions: 8" x 14" x 2"
Guide Gear 16 Swivel Ladder Tree Stand is rated 4.1 out of 5 by 13. Rated 5 out of 5 by William from Everything was good ,i like the stands . 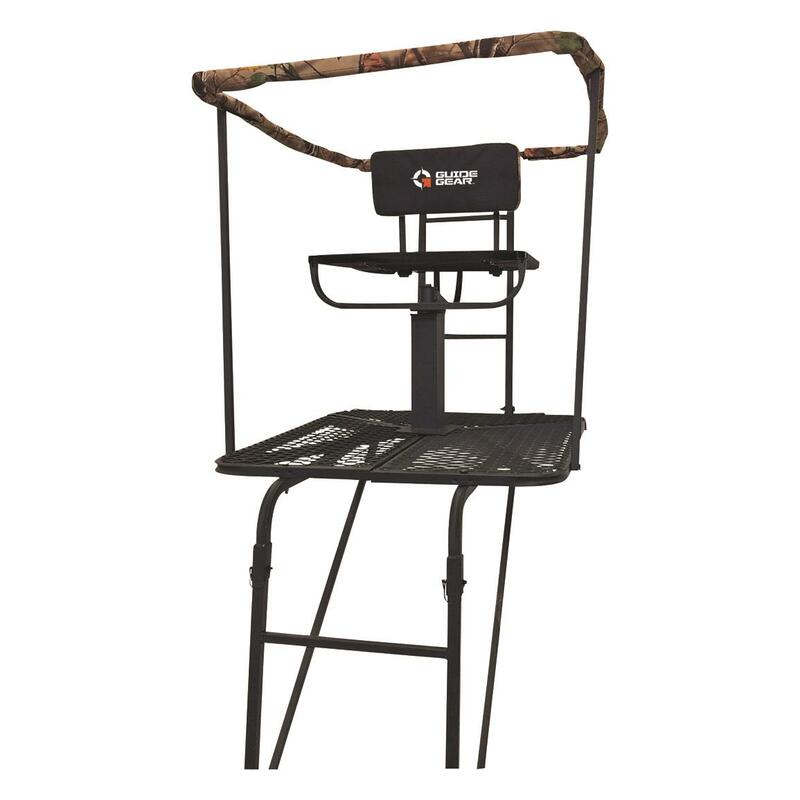 Rated 3 out of 5 by Dave22 from Great stand Great stand. Would be really great if replacement seats were available. Seats last about two years. Unless you are good with a sewing machine, and can make a seat, the stand is useless at that point. Rated 5 out of 5 by Corinne from I love this stand I absolutely love this stand. The seat is so comfortable, I sat for 7 hours on the first day and had no problem (besides being bored) with that. The ability to swivel and look around you is a wonderful feature. I plan on buying a couple more. Rated 1 out of 5 by Marc from Cheaply made I have bought three of these stands over the last two years and between the cloth seat ripping out or squirrels chewinging through it and the general poor quality of the stand making all kinds of noise when trying to turn in it, I would not recommend these stands to anyone unless you want to get 2-3 sits out of a stand. All three will be going in the garbage after gun season this year. Great idea but just really poorly made. 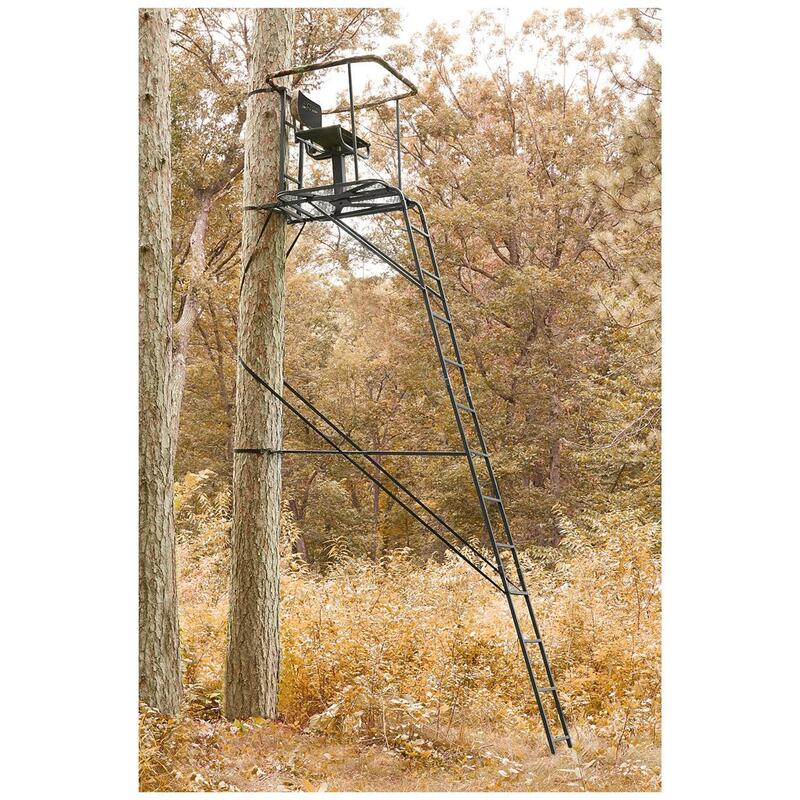 Rated 5 out of 5 by KJB567 from Great stand This is one of the best ladder stands I have ever used. Very comfortable. I have three of these on my property. Rated 5 out of 5 by BUCKUM from Worth every dollar With 3 points of contact, this stand is very sterdy. The swivel chair is great and there’s a ton of room up there. I’m 6’ and 220. I will def be buying another in the near future. Rated 4 out of 5 by Clark cm from Comfortable Stand Nice stand, nice construction. Enough room for a 250 lb man. I would have given them five stars had they not shorted me on bolts and nuts in both packages. Rated 3 out of 5 by Eddie from Too small! Guess it would be ok for a very small person, not so for 6' 200#, very uncomfortable. A comfortable spot for two. Two hunters get comfort and a great view. Put yourself in the trophy zone.